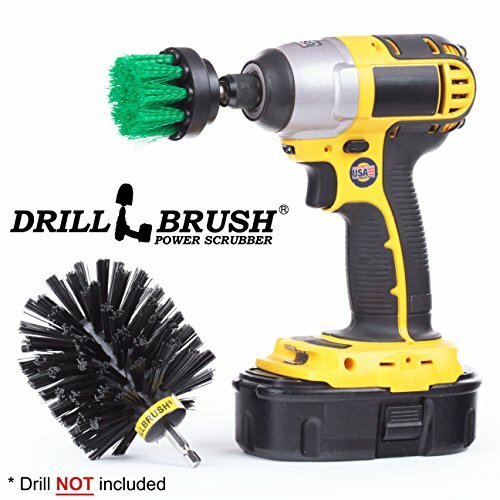 2 piece drill powered brush kit. Includes one 2 inch diameter medium scrub brush and one 3 inch diameter all purpose power cleaning brush. For all purpose scrubbing tasks around the house, garage, RV and boat. Perfect for bathroom surfaces, tile and grout, and shower stalls.Cordless drill NOT included Drill NOT included. This kit works great all around the house, bathroom, kitchen and automotive and boat applications.